2. Click on the “Welcome” button, located at the upper right corner of the Dashboard screen. Then, click on “Branding”. 3. 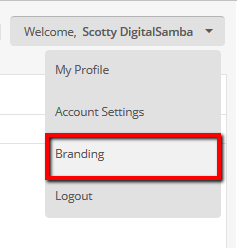 On the “Branding” screen you will see options to change each one of the different OnSync logos that appear in our platform. Each logo contains the dimensions needed and the maximum file size supported, so you can have it as a reference. 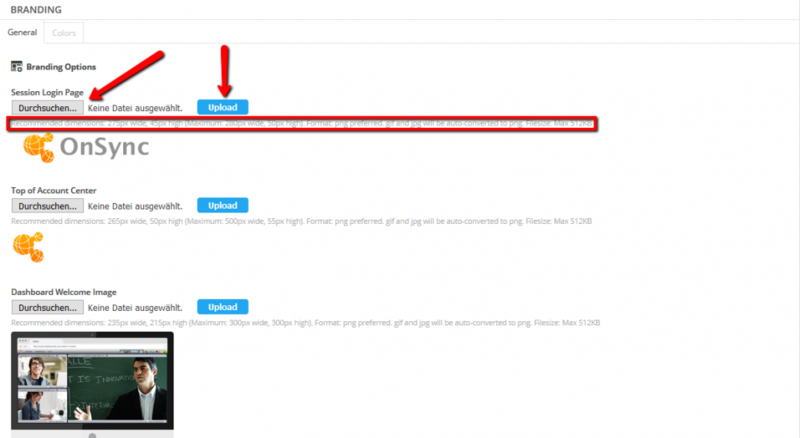 You simply need to click on “Choose File”, choose the corresponding file from your computer and then click on “Upload”. 4. Lastly, go to the bottom of the page and click on “Update” to save your changes.